1) Open VS Command Prompt. 2) Type the following command to re-install ASP.NET 4.0 and register the right .NET Framework. I was developing a WCF syndication service to be deployed on Windows Azure, I faced a problem that when you deploy the WCF service in IIS 7.0 it doesn't work and gives the following error in the browser: HTTP 404 Not Found. I checked the deployed service it contains the dlls and configuration files. After few minutes i figured out that the problem is in one of IIS features is not enabled which is the WCF activation feature. 3) Select Turn on/Off windows Features. 5) Check WCF HTTP Activation and Non Activation check boxes (BOTH). 7) Now your IIS is configured to host WCF services with HTTP activation and non HTTP Activation requests. Why do we need managed accounts in SharePoint 2010 ? For Example: you might need a service account for your application pool or different accounts for the Sandbox solutions in SharePoint. So, You have to keep those service accounts with their password in a secured file in your system. If the password for one of those accounts has been changed, the result of this your service account will stop functioning. The solution for this comes with SharePoint 2010 that you can register your service accounts as a Managed Accounts, and you don't need then to remember the password once you register them in your farm. and also the sharepoint 2010 will take care of the password expiry policy that you have in your organization by creating a new strong password and notify you as well. At the same time you can change the managed accounts that manage the service applications/services from the central administration. 4) Type your domain username and password you would like to register. 5) Optional, configure SharePoint to notify you if you have password expiry policy by creating new password. Tip: This is a good practice to enable SharePoint to generate the password for you and send a notification to you. Even if you are working in an organziation with high password requirement's policy in there, you can let SharePoint change it for you automatically to keep your environment secure and you can change it after that as well. Once you register your managed accounts in your farm, you can then change those managed accounts to different service applications in SharePoint. How can i change the service accounts for SharePoint services? 3) Select Manage Service Accounts. 4) Select the service application and the required managed account. Tip: Once you select the service application, you will be able to assign to any managed account in your farm. Summary: It's recomended to create your managed accounts and use it across your farm without the need to remember the password for your accounts. Usually the business users are trying to create reports for their backend DBs. You can build your own Report and deploy it to SharePoint 2010. Without using VS.NET you can develop and create your reports using FREE Reporting tool called "Report Builder". In this tool, You can connect to your DB and build your report. 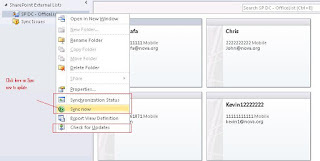 Once you have "SQL 2008 R2 Report Builder 3.0" tool, You can connect to your DB and you will be able to create Charts and Reports. Once you are done, You can deploy the report by saving it locally "*.rdl" then from sharepoint Document library with Report Builder content type, You just need to upload the rdl file to the document libarary and once you click on the report you will be able to see it. Once you create the document, Just upload the rdl to your Document library. 1) Self Site Creation Service: It is a SharePoint 2010 service that allow users to create sub sites within their site collections. Note: By Default is service is off on your web application. 1. Open SharePoint Central administration. 2. Click on Application Management Tab. 3. Under Site Collection, Click on Configure Self-Site Creation service. 4. Select your web application and select "On" from the choice option. 5. Check "Require secondary contact" to force the user to add another user to be a site administrator other than himself. Note: When any admin clicks on OK button, A new item will be added to the announcement list of the top level site. This is the page that any site user can create a new site within the site collection. 2) Select your Web Application. 4) Specify the duration that you need backend timer serivce to check for the existing created sites: Preferred to be Daily and you can select any time as per your policy. After you configure Site use confirmation and deletion you will be able to manage and monitor your site collection activities and # of sites and keep your farm operates with good performance by managing # of sites hosted on your farm. 1) Either to remove one of the endpoints definition. 2) Keep all endpoints and select which endpoint you want to use in your code - This is the preferred solution. I selected the basic HTTP binding for my service. and you can select any of your choice and you have to specify this in your code. In this post, I’d like to share some thoughts about SharePoint 2010 terms in regard of planning your SharePoint Farm. I will show in details the differences between some terms such as: System Services, Application Services, Cross-farm services, Single-farm services, Services associated or not to a service applications and How to configure each of them in your SharePoint Farm. If you are familiar with SharePoint 2007, Service applications are the equivalent to Shared Services in SharePoint 2007. 1) System Services: In SP 2007, some common services were combined under Shared Services service (search, user profile…etc. ), in SP 2010, each service is a standalone application, called Service Application. 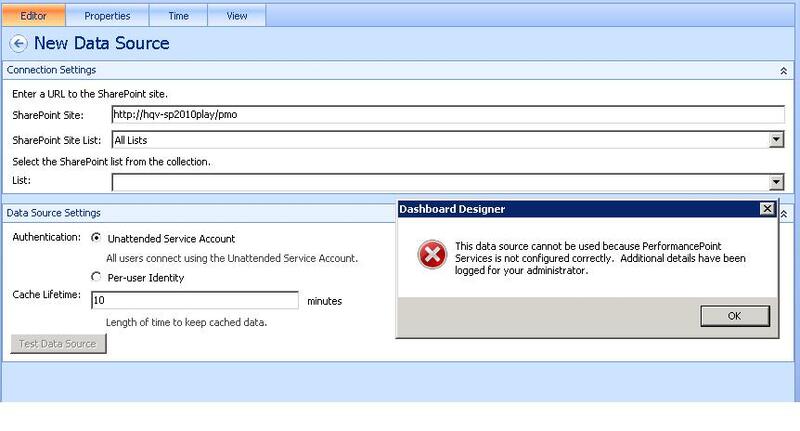 In SP 2010 you can configure each service application alone. Some of these system services are associated or not with a service application. Cross-farm services: are the services that can be shared across different farms within the organization such as: User Profile, Managed Metadata, BCS, Search, SSS and Web Analytics. Single-farm services: are the services that can be configured only within only one farm such as: State service, Master data services, Performance Point, Excel Services, Access Services, Word Services, Word Viewing, Power Point and Visio Service. If you are developing windows live application using Window Live SDK June CTP, You won't be able to deploy your windows live application on windows azure if you didn't update your web.config by adding the following section: diagnostics. PROBLEM: You won't be able to view any page in your web role project, and you will get a blank page. 1) Create a new web role project in your solution. 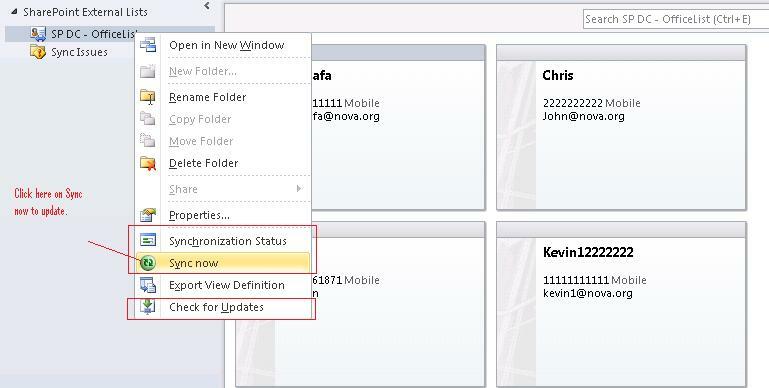 3) Copy the section system.diagnostics and add it in your windows live application. You will notice that you don't have this section on your windows live application. 4) Note: MAKE SURE THAT YOU DON'T HAVE DUPLICATE ENTRIES ON WEB.CONFIG for OAuthWrapCallback.ashx HTTP HANDLER. Try to run the cloud service now and you will be able to view the default page of your web role. 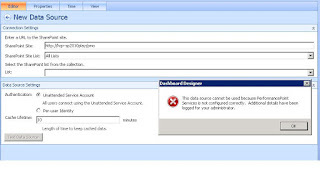 In This post i will show how to configure SQL Reporting services in SharePoint 2010. This is because your SharePoint configuration is not configured with Reporting services server. b) Select Report Manager Url. c) click on the url to make sure it is working. a) Select General Application Settings. b) Select Reporting Services Integration. c) Set the report server url. d) Select authentication mode, Windows if the reports show personalized data. OR select the trusted account that will be used for impersonation. e) Click on Ok, You will get a successful page. "Failed to establish connection with report server. Verify the server URL is correct or review ULS logs for more information. Product area: SQL Server Reporting Services, Category: Configuration Pages"
3) Go to your sharepoint site settings and enable Report Integration feature on site collection features. 4) Go to your site and add reporting services webpart in your page and configure it to your report. Note: It is recommended to have a library that has all your reports in one place and all SQL Reporting services webparts are connecting to this library. @MostafaElzoghbi On your SharePoint/RS blog, you may want to mention the need for SP1 CU7 to get RS 2008 to work with SP 2010. // Define Role Assignment object. // Define the Permission Level you would like to give. //Add the item to your custom list. // Add Role assignment to the created item. The check above was returning True, even if the user doesn't have Edit/Contribute permissions on the item. True: means copy the permissions first, then my code add more custom permissions. and this is not what i want, i don't want to inherit any permissions from the site. False: Means don't copy and i will handle the permissions by my self. and this is what i want. The Developer who wrote above lines didn't read the description of the function, he thought that he wants to break the permissions by setting it to true. Lessons learned, and this is the point i want to share it with all. Next Event will be at Microsoft Reston,VA Office 12th June 2010, Organized and managed by Nova Code Camp Community. Event will have the following topics: ASP.NET,C#,MVC,SharePoint,AZURE, Mobile Development,Silverlight and much more. 1) VS 2010 Development tools for sharepoint developers. 2) Client Object Model vs. Server Object Model. 4) BCS in SharePoint 2010. Have questions ? want to know more...come and attend my session. Full day of technical topics on interesting top-notch technologies. Why : when you have script block outside the content controls in your application pages in sharepoint 2010. Error #2: Cannot make a cache safe URL for "1033/sp.debug.js", file not found. Please verify that the file exists under the layouts directory. Why this happen? Because SP.debug.js doesn't exist under layouts folder in sharepoint 2010. On this event we had more than +150 attendees and the quality of presenters was really hight, and the content is really fresh and new. "In this session will experiment different data manipulation techniques in SharePoint 2010 using server and client object model and the differences of using different model to query your data. Also, Using LINQ is one of the most favorite features for .NET developers in SharePoint 2010 and how can you retrieve master-details data in simple query in your code. As i got the message from my attendees to post my slides and the solution for my demos. The problem because my script manager in the pages are refering to the asp.net script manager and not the toolkit script manager. Delete all script managers you have and drag and drop a control named "ToolkitScriptManager" in your master pages or pages which script manager resides. - Develop & Deploy Application on Azure using VS 2010 RC. - Showcase for a full LOB ASP.NET application hosted on Azure. I like also to share my presnetation with all of you to make use of it. Thanks to Dan Kasun to provide me good presentation and materials for Azure. Today i started to read about IIS smooth streaming feature available in IIS 7, and i am impressed with this feature, the feature simply provide you with the platform to provide HD videos in the application without writing a lot of code. It's pretty easy and innovative to have HD streaming in your application using this silverlight media framework. **The full sample application is attached to be used as walkthrough. Hope this helps and enjoy Silverlight. Today i attended the Government Cloud Computing event at Washignton DC sponsored By Microsoft which held on Ronald Regan Conference center. I had cool conversation with the DPE team and Azure Technical guys in the event with some few business contacts in the Federal government Reps. The event started with the Cloud computing vision on the furture and the challenges the face Microsoft and ISVs to engage the government to be open and approve the cloud computing solutions. Then, Microsoft showed some show cases / Demos for implementing Windows Azure,Dallas and AppFabric with Blobs on the cloud. Then we had a great panel that includes some of technology experts and innovators from the government and other private sector. I really like the innovation in NASA and the CIO who was so open to the new technologies and how it helps NASA's mission and the scientific research that it has and how it helps them to reduce the operational cost for their IT services. The event had 3 Tracks : Business Track, IT Track and Developer Track. - You can start developing Azure cloud computing with ZERO Dollar investment. - Use VS 2008 with Azure training Kit to start developing cloud apps. - ALL MSDN subscribers have a promotion from MS to have 750 hrs for 8 months FREE. - Cloud Storage Studio is a free tool to manage your Azure Storage data. - blogs.msdn.com/publicsector to get all public sector news. - myazurestorage.com is another tool to manage azure storage. - SQL Azure migration wizard is an open source project in codeplex to migrate your DB to Azure compliant. - MS Synch. Framework power pack for SQL Azure - Nov CTP to synch between different SQL Azure Databases and on premise DBs. - Microsoft has a program called : Open government data initiative OGDI to expose data to the citizens using Azure technologies. - OGDI provides toolkits with different programming languages to help developers to consume these data using Azure Platform. I'm really glad to announce that Registration is now open for participation in Live Online SharePoint Saturday Arabia. By registering for this event, you are confirming you would like to view the live presentations, presented from 7:00am to 4:00pm (GMT+0), on March 27, 2010. In order to hear the presenters, you will need headphones or computer speakers. There will be no conference call dial-in phone numbers. The live blogging platform will allow for real time questions to be passed to the presenters. There will be two sessions running simultaneously so that we can present to a diversified audience in both Arabic and English languages. As you register, we would very much appreciate it if you would spread the word to your SharePoint colleagues. I have attached here the event poster, please feel free to use it. Thank you for joining us. With your participation, we hope to make this an exceptional event. يسعدنا و يشرفنا أن نعلن أن باب التسجيل و المشاركة في Live Online SharePoint Saturday Arabia قد تم فتحه, بالتسجيل في هذا المؤتمر الافتراضي يمكنك مشاهدة المحاضرات و الشروحات أون لاين, المحاضرات ستعرض في تاريخ 27 مارس 2010 من الساعة 7:00 صباحاٌ حتى الساعة 4:00 مساءاٌ بتوقيت جرينتش. هذا المؤتمر الافتراضي يعتبر الأول من نوعه حيث أنه ُيقدم شرح واف باللغة العربية و الانجليزية لشيربوينت 2007 و شيربوينت 2010 . لمشاهدة هذا المؤتمر لن تضطر للذهاب لأي مكان أو حتى دفع أي مبالغ مالية حيث أنه حدث مجاني و أون لاين, كل ما تحتاجه هو جهاز الكمبيوترو الدخول على شبكة الأنترنت. نظام التدوين الحي يتيح لك طرح الأستفسارات والأسئلة على المتحدث في التو و اللحظة , و سيكون هناك محاضرتين في نفس الوقت حتى نتمكن من عرض المحاضرة على العديد من الجمهور باللغة العربية و الأنجليزية. نشكرك جزيل الشكر للتسجيل, و الرجاء أن تبلغ أي شخص مهتم بتكنولوجيا الشيربوينت عن هذا الحدث, لقد أرفقنا الملصق الإعلاني للحدث, أستعمله كيفما تشاء. نشكرك جزيل الشكر للأنضمام ألينا, و نتمنى أن يكون الحدث ممتاز و ممتع. Microsoft recently released the Application Architecture Guide version 2.0, This is a good resource to architect and design your solutions by applying Microsoft best practices in software design. During attending MS MVP global summit from 16-19 Feb 2010, I present a MVP2MVP side session on Firday 4:40 pm, it was a great experience presenting to fellow MVPs. I'd like to share my presentation with all to make use of it. Note: All materials is applied on SharePoint 2010 Beta 2. "The Web application at http://MYSITE could not be found. Verify that you have typed the URL correctly. If the URL should be serving existing content, the system administrator may need to add a new request URL mapping to the intended application." The solution for this problem after i spent almost 1 hour to figure out what is the problem,the problem is that your site doesn't get the username and password from the SPMetal tool, and you have to provide it in the command itself. I'd like to share with you this problem we faced in one of our projects, I was building a WCF/XML Web services Layer to be consumed by Mobile and Non-Microsoft Technologies such as FLEX / ColdFusion. One of our team members was saying that when he was trying to consume our web services he wasn't able to get the results from our services layer. What you need to do update the web.config by adding HTTP GET/POST protocols. Hope this helps .Net and Flex developers all together. The tip is on step 12: if you didn't specify the assemblyname.classname you will not be able to successfully deploy your webservice. WebService Language="C#" Class="MyServiceAssembly.Service, MyServiceAssembly, Version=1.0.0.0, Culture=neutral, PublicKeyToken=8f2dca3c0f2d0131"
That's is and hope it helps. I had one of my SharePoint Configuration database for one of my sharepoint sites reached 122 GB since i had a problem on having any operation from the FE server to the DB server. 1) Take a full backup from your database - Important. 2) Change the DB recovery model to Simple ( Right click on the SharePoint_Config and click on properties -> Options - > Recovery model : change it to simple. 4) Check the HD free space, your free space on the HD has been updated. 5) Don't forget to return back the recovery model to full for any future backups. Check the transaction log file (ldf file of the sharepoint_config) it has been shrinked to the minimum size. In my case the transaction log has been shrinked from 122GB to 2MB. How to fix : "Directory ‘C:\Inetpub\wwwroot\wss\VirtualDirectories\80\_catalogs\masterpage’ does not exist. Failed to start monitoring file changes." Directory ‘C:\Inetpub\wwwroot\wss\VirtualDirectories\80\_catalogs\masterpage’ does not exist. Failed to start monitoring file changes. The fix for this problem, is a bug and a known issue, just install this hotfix KB957661 on your sharepoint front server. This is just a quick update to tell you I will be posting the speaker/session schedule for Live Online SharePoint Saturday EMEA on January 23rd later this week. We are going to have at least two channels running at once, possibly three. We've got over 350 people registered, 6 Microsoft MVPs speaking, and 21 presentations! I would appreciate it if you would share/forward this post to three colleagues telling them about this free, live online event. I'd love to see the registrations go over 1000. This looks like it's going to turn out to be one of the largest live online events we've ever seen for SharePoint. Thank you for your participation in spreading the word. In This post i will mention some of my thoughts and findings in the MS Surface, It is amazing experience, this is the first post of its series, i will keep posting my posts about MS Surface. 3) Do i need to have MS Surface to develop my applications ? You can develop on your development as workstation using Surface Simulator that will be installed if you installed Surface SDK. 4) What kind of application we can develop for MS Surface ? Surface application is basically WPF ( Windows Presentation Foundation) .Net applications. I hope this helps, let me know what do you think about this ?